Take a 3D Tour, CLICK on the 3D BUTTON & Walk Around. Watch a Custom Drone Video Tour, Click on Video Button! 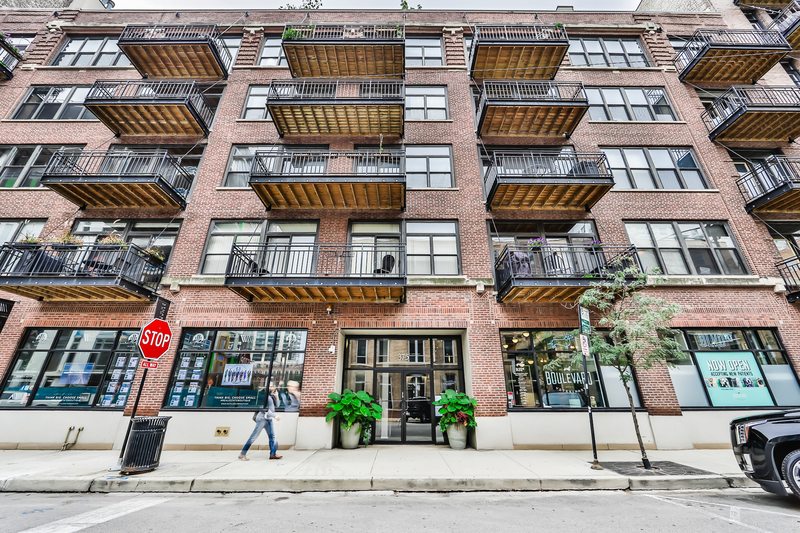 Live the Luxe Life in River North! This Timber Loft Duplex Penthouse condo was completely redesigned w/top of the line European finishes. 2bed/2bath+DEN has Rare Private Roof Deck w/Gorgeous City Views. Modern kitchen includes high end SS appliances, Italian cabinets, quart counters, custom backsplash, wine fridge & breakfast bar. Open living room is ideal for entertaining. Large Master Bed w/luxurious ensuite bath that has custom tile, sep shower, double vanity, & tub. Unit features refinished hardwood floors, high ceilings, in unit washer/dryer, & floor to ceiling windows. Garage Parking $35k extra. Building amenities include gym, party room, storage & doorman. Easy access to Brown line or Chicago Bus. Jump on 90-94 in seconds! Close to dog/kids park, Riverwalk, restaurants, nightlife, & more! Directions West on Erie. South Side of Street. Property information last modified by seller on Friday, March 29, 2019, 06:32 PM CDT. Information Deemed Reliable But Not Guaranteed. Unauthorized duplication, use, or linkage is prohibited. The information on this web site is for personal, non-commercial use and may not be used for any purpose other than to identify prospective properties consumers may be interested in purchasing. Monthly Payment Calculator results are for illustrative purposes only, not a financing opportunity; calculations assume a 30-year fixed-rate mortgage and do not include closing and other costs. Property Tax on NEW properties is estimated at 1.5% of Listing Price for payment calculation purposes; actual value may be higher or lower.